Hey dolls! I hope you all are having a fabulous week so far. The theme for this week’s Twinsie Tuesday was to be inspired by nature. My initial thoughts were that I didn’t want to do anything too literal. As I was swatching the Zoya Bubbly collection (review coming this week), I realized that Muse reminded me of the ocean. 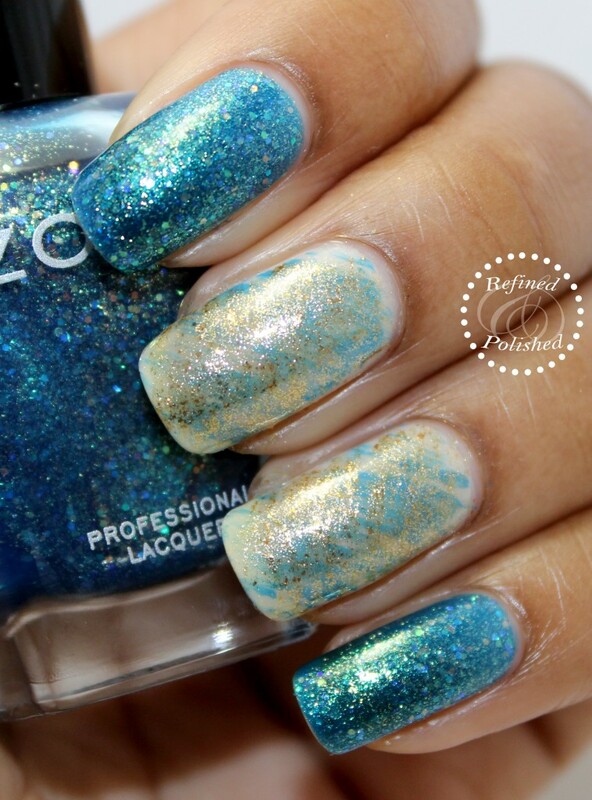 Zoya Muse is an aqua shade that sparkles turquoise, green, blue, and gold. I applied Muse on two nails. Next, I did a double accent base using Zoya Gaia, a white filled with heavy gold shimmer. Then using my fan brush, I applied Zoya Ling (blue creme) and Zoya Ziv (gold metallic) on the accent nails. I absolutely love the way this turned out! 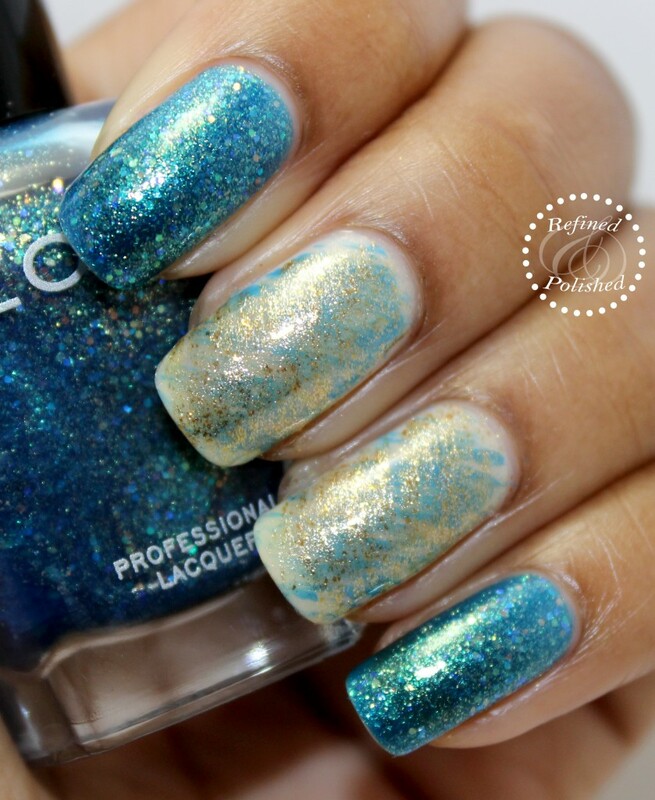 The little one said I should call this look “the ocean’s floor” as Zoya Ziv represents the sand and the other shades, the water. Fan brush accents are the perfect way to provide an abstract look in my opinion. Be sure to check out how the other Twinsies were inspired by nature below!